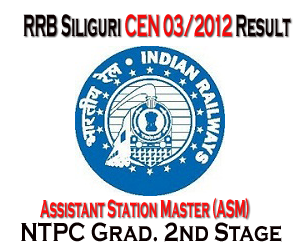 Railway Recruitment Board (RRB), Siliguri declared Centralized Employment Notification No (CEN) 03/2012 NTPC Graduate Second (2nd) Common Stage Written examination result of Assistant Station Master (ASM) Category (Cat.) No-07 result and Time table & Venue of Final Aptitude Test (AT). 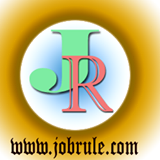 Based on second stage written examination held on 18th August, 2013 (18/08/2013), RRB Siliguri (W.B) published 628 numbers provisionally selected/shortlisted candidates roll numbers for final aptitude test (ASM).